Travis Scott’s Nike Air Force 1 Low collab will release again today, August 10, in a “Sail” colorway, following up the white canvas rendition that dropped last December. The kicks feature the same design as the first, including the removable chrome Nike swooshes, lace dubraes, upside down Nike Air branding on the heel, and Velcro patches. The “Sail” Air Force 1 Low will be available at select Nike retailers, as well as Nike.com for the retail price of $150. Foot Locker and Footaction will reportedly release the kicks on Saturday, August 11 at 10am ET. It’s worth noting, the white colorway of the Travis Scott x Nike AF1 Low that dropped in 2017 is currently selling for upwards of $700 at consignment shops like Flight Club. 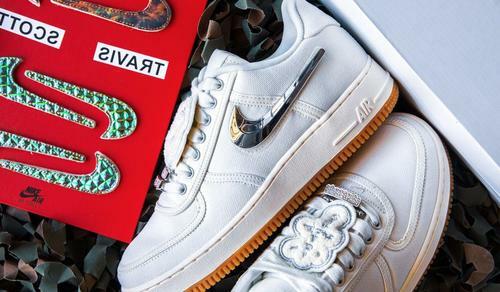 Additionally, in celebration of Astroworld and today’s Air Force 1 release, sneaker customizer Mache has teamed up with Lapstone & Hammer for a special giveaway featuring six colorful versions of the Travis Scott x Nike Air Force 1 Low. Click here for more details on how to win an exclusive pair.